The wide development of mobile applications provides a considerable amount of data of all types. In this sense, Mobile Context-aware Recommender Systems (MCRS) suggest the user suitable information depending on her/his situation and interests. Our work consists in applying machine learning techniques and reasoning process in order to adapt dynamically the MCRS to the evolution of the user’s interest. 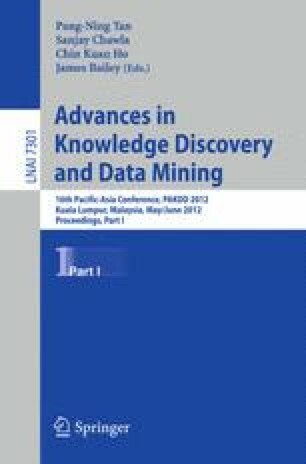 To achieve this goal, we propose to combine bandit algorithm and case-based reasoning in order to define a contextual recommendation process based on different context dimensions (social, temporal and location). This paper describes our ongoing work on the implementation of a MCRS based on a hybrid-ε-greedy algorithm. It also presents preliminary results by comparing the hybrid-ε-greedy and the standard ε-greedy algorithm.